• Local weddings with connections to Utah Valley. We want a variety of unique, eye-catching weddings with divine details, a fun love story, and some local vendors. Utah Valley ties could include: Bride or groom is from here; reception or ceremony was held here, or a variety of UV vendors were used. We will accept weddings with little to no ties to Utah Valley, but preference will be given to more local weddings. Weddings must have occurred in November 2018 or later. • Inspiration shoots with connections to Utah. We want creative, elegant, sophisticated shoots that have a defined style. • The more exclusive the better. 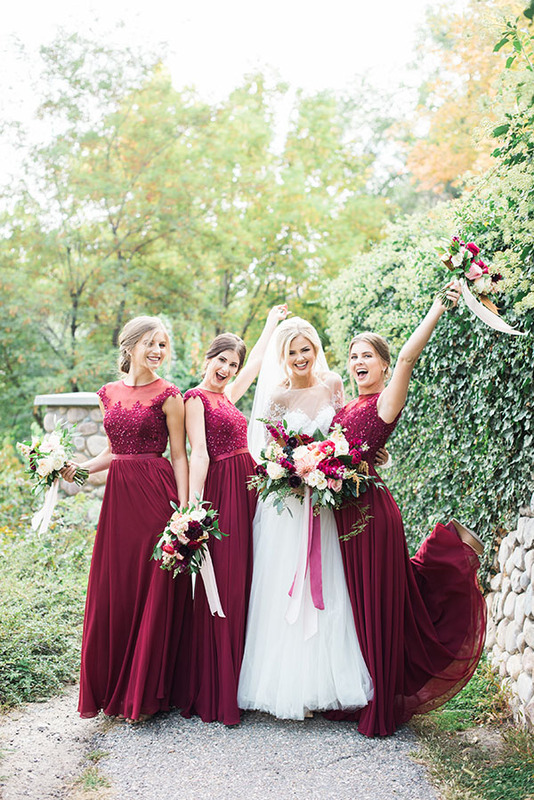 Weddings posted on your personal blog are acceptable, but the wedding or inspiration shoot cannot have been published or posted in any other Utah bridal magazine (in print or online) or Utah wedding blog. Weddings posted on national blogs are still acceptable, but preference will be given to those that have been previously unpublished. • Include a link to a photo gallery of 50 to 75 edited images (300 dpi) from the couple’s bridal, wedding and reception shoots. • Include a list of as many vendors (their websites, social media handles and their locations) as possible. • For local love stories, include any fun facts about the couple’s love story. • You will be notified if your wedding or inspiration shoot has been selected as a feature by Dec. 20, 2019. • Brides, please have your photographer submit your wedding on your behalf. • Local weddings with connections to Utah. We want a variety of unique, eye-catching weddings with divine details, a fun love story, and an abundance of local vendors. Utah ties could include: Bride or groom is from here; reception or ceremony was held here, or a variety of vendors were used. • Stellar sessions from engagement or formal shoots. • Wedding videos with connections to Utah that are polished and powerful. • The more exclusive the better. Weddings posted on a national blog or your personal blog are acceptable, but the wedding or inspiration shoot cannot have been published or posted in any other Utah bridal magazine (in print or online) or Utah wedding blog. • For weddings and inspiration shoots, include a gallery of 30 to 60 edited images (300 dpi) and a list of as many vendors (and their websites, social media handles and locations) as possible. • For stellar sessions, include 30-40 edited images (300 dpi) in your submission. Photos selected may be used in their own post or in a gallery of images that will be linked to your website. Photos also may be posted on our social media sites (Instagram, Facebook and Pinterest), where we will tag you and participating vendors. • For video submissions, upload to YouTube or Vimeo and email the link to editor@utahvalleybride.com.